I Started working with Angela back in September this year, so not long ago at all. Get goal, tighten up her core and gain some gains around the glutes. Both achievable goals. She did a block of 121 with me and within those 1st 10 sessions went from Zero to Hero. She hadn’t done much or any weight lifting before she started so we really did start from scratch, in terms or strength, fitness and technique. What excelled Angela so fast is that she really really listened and took direction well. This is crucial when lifting weight’s and using your body in a way that is totally new. Every time we tried something new or went back to it at a later sessions she’s was constantly excelling. Since completing here Personal training with me she then went on to join our Group Personal Training team where she has well and truly got stuck right in! So here is a little bit about Angela…. I started 29th of September because I wanted to improve my fitness and tone my body. I enjoy each session. I never get bored because programmes change every month. All the nice comments and great reviews I have read on the website and I decided to try a small local business rather than another big company which I already tried, which didn’t work for me. I love holding a plank and surprisingly a dead lift. I like concentrating on one thing and seeing my weights improve.  I definitely recommend Ocean Fit to all my friend because I love the professionalism, the passion the way you guys do your job really brings out the best in me. I love to bake, especially cakes as well as cooking pasta dishes. My biggest achievement I’d say is being committed to something I really enjoy which is good for my health, body and mind. Aside to my physical improvements of course. But overall being fit, stronger and with more energy (with a toddler I need lots of energy). The perfect place to get rid of stress and to just feel ….good. Congrats Angela on this fab achievement, we absolutely love having you as part of our Group Personal Training Team and seeing your constant developments! And of course slowly becoming fluent in Italian! If you would like to know more about our Group Personal Training Programme and how it works then please don’t hesitate to contact us. We currently have 1x spot on each of our times. If you would like to secure a place on this fantastic programme then please don’t hesitate to contact us before it’s too late!